Pele’s Tears is a story of second chances. Noelani hires PI Dillon to ascertain if her grandmother’s death was a suicide or an accident. Until Noelani met Dillon she had no idea that he was the unrequited teenage love she knew as Marshall. 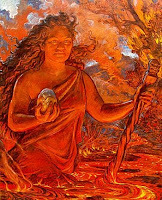 Noelani’s grandmother had been making an offering to the Hawaiian volcano goddess Pele at the time of her death. Afterwards Noelani had found that a photograph of her grandfather taken days before his death at Pearl Harbour had changed from a solo image of him to one that also contained her grandmother. Together Dillon and Noelani unearth the truth of the second chance offered to her grandmother by the goddess to spend her last days with her husband that she had missed those many years ago. Noelani and Dillon also rediscover that their love remains strong and unchanged despite their long separation. Some nice magical touches, and a wonderful legend, but the story suffers from the predictability of the reader knowing this is a time travel story from the get go while the main characters stumble about trying to understand the clues. This one just didn't grab me emotionally. 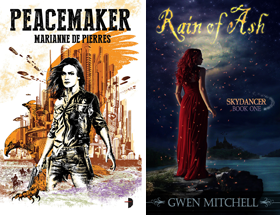 Award-winning author of the Wicked series. Lady_tink the writing was very accomplished but it seemed to be missing a spark.